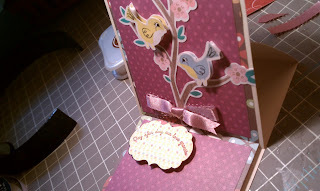 So this is an A2 sized card, With basic mats. 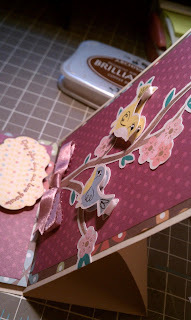 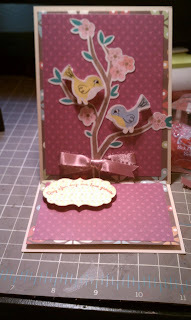 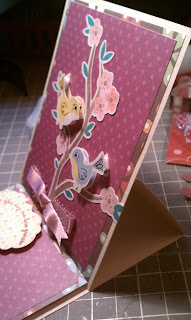 I used my Cricut imagine for the birds in a tree, They come from Better together imagine cartridge, cut at 5"
I cut them as one layer and then cut the birds out again to give some dimension to the front of the card. I cut a stock image from the imagine for the sentiment mat. The sentiment is from a studio g set.